Donnie Macdonald, left, (with an octave mandolin) and James Keigher harmonize as they entice audience members to sing along. 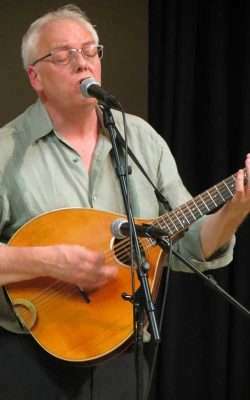 Irishman James Keigher plays a cittern, a 10-string instrument that originated during the Renaissance (the cittern was once a popular instrument, much as the guitar is today), while passionately swooning the audience with his distinctive voice. The March 15 concert by the Men of Worth was a wonderful opening to the St. Patrick’s Day weekend. 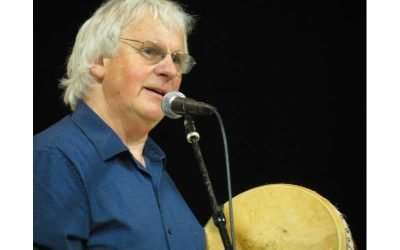 With an evening performance, both acoustic and percussion-led, the Men of Worth brought a humble and idyllic night of Irish and Scottish folk music from across the sea to Susanville. With songs, which were mostly familiar, the night was welcoming and sincere. The atmosphere was communal, with many audience members singing together songs learned from childhood. 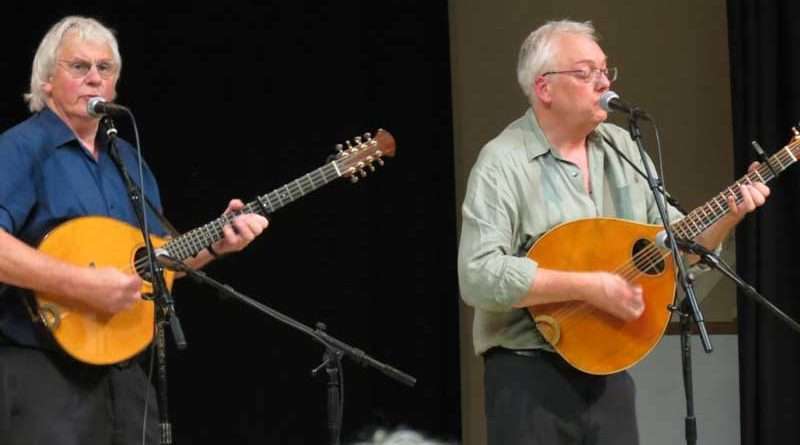 Since 1986, the duo of Men of Worth, Scotsman Donnie Macdonald and Irishman James Keigher, have entertained audiences with their humorous and combined styles of traditional and contemporary folk music. Along with the performers’ talent for storytelling, their relationship on-stage shone with an especially vaudevillian spirit. 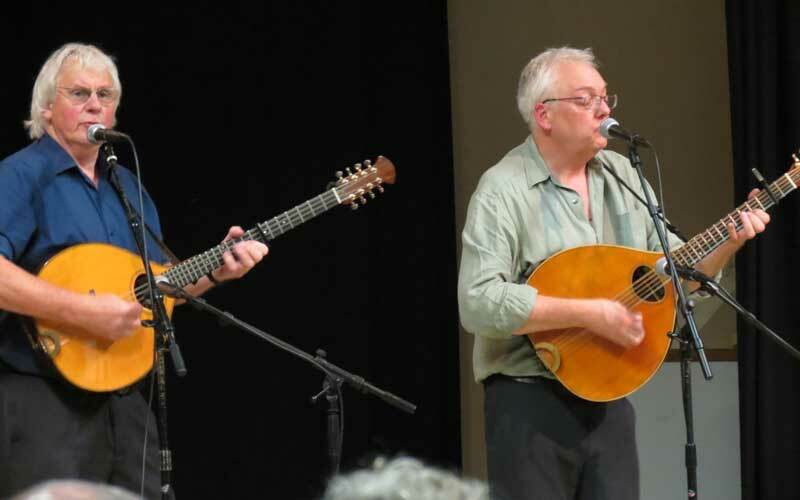 Tuning their instruments between songs, the duo played multiple instruments including, a cittern, a concertina and a traditional Irish drum called a Bodhrán throughout their concert. They switched between each with ease as they tuned their instruments song after song, telling their intriguing and hilarious stories in transition. With lessons in culture, family, football and love, the two held the audience’s attention throughout the performance. The duo told stories to the audience pertaining to their life experiences as well as stories in reference to the songs they played next, all with their quirky and witty humor. With rich harmony between their voices, Macdonald and Keigher captured ears. The sound of the two together transplanted listeners’ hearts to the gentle countryside across the Atlantic, to waves of green mountainsides while curled by the fire. They performed in Gaelic and English during their concert. Familiar pieces such as the Irish Lullaby, Life of a Man and Danny Boy were easily recognizable songs, which when performed by the two, brought an overflow of nostalgia to the room. Scotsman Donnie Macdonald plays a traditional Irish drum, called a Bodhrán. Couples held close to one another as they gazed toward the performers who, while between sets, entertained with banter and humorous jabs at one another. Scotland. They provide first-hand experiences of their respective homelands to engaged and interested travelers, and have for many years. Their tours are complemented with gourmet meals, breathtaking landscapes and, if anything like this performance, culturally enriching story telling and lots of fantastic music.